With tasting rooms in Northwest and Southeast Portland, Steven Smith Teamaker is beloved for its small-batch teas and herbal infusions. If you’re not in the mood for coffee in Portland, you’re in luck. The city is awash in tea — perhaps the world’s most popular beverage, and versatile too. Whether in cocktail form, boba, chai, matcha, green, black, herbal, oolong or an endless variety of other types — a cup of tea in the wintertime is a warm blanket, a healing salve, a drink that brings people together to appreciate the simple joys of something so perfect. From old-school traditions to new-school innovations, classic to quirky, local tea artisans are passionate about their craft and are eager to share it with the world. Here are some of our favorite visitor-friendly spots to start. Happy sipping! Long before the tea craze took off, Tigard-based Stash Tea opened their doors in 1972 and has since become a global phenomenon. 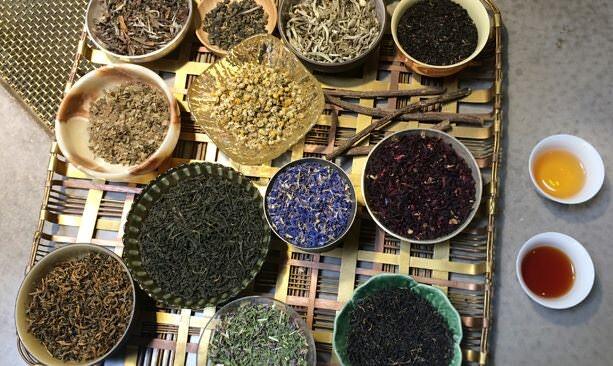 Visit their North Portland tea room to taste the different notes between between a nutty, smoky, citrus, floral or minty blend, and ogle at their dizzying array of teas in their distinctive colorful packaging. Try the maple apple cider tea to warm up on a chilly day. With tasting rooms in Northwest and Southeast Portland, Steven Smith Teamaker is beloved across the globe not just for its small-batch teas but also herbal infusions. Peel pack layers of flavor from their barrel scented teas, produced with the help of House Spirits, Stone Barn Brandyworks and other distillers. Try their 2015 vintage, which highlights the Irish Moringa — a blend of Indian moringa, bourbon vanilla bean, Spanish orange peel and star anise scented in a whiskey barrel from Ransom Wine & Spirits. Tea Chai Té (both in Northwest and Southeast Portland), is a cozy haven you won’t want to leave soon. In addition to a full selection of loose teas, bubble tea and kombucha — lesser-known players in the tea world — get equal play. Boba tea, as it’s called in Taiwan, is a blend of milk (easily substituted), steeped green tea, yerba máte or rooibos, and tapioca pearls, sometimes with added fruit flavor. Most often a cold drink, it can also be served hot — making for a special winter treat. 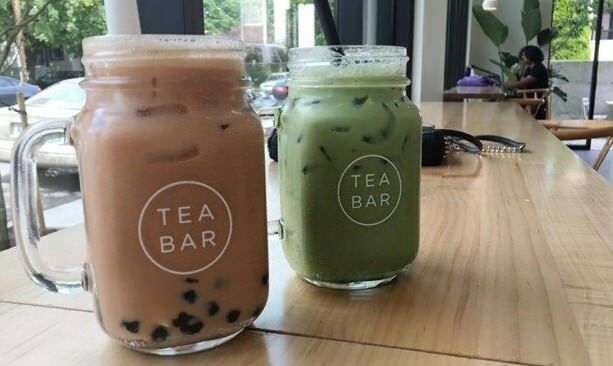 In their sleek, modern setting, Tea Bar PDX (in Northeast, Southeast and Northwest Portland) whips up a mean pumpkin spice boba tea, as well as a lustful honey matcha latte and tea toddy — with a chamomile blend, cold-pressed lemon juice, fresh ginger, cayenne and local raw honey. For a special pick-me-up, the dirty detox (available seasonally) is a rejuvenating mix of activated charcoal, organic lavender, lemon juice and local raw honey. 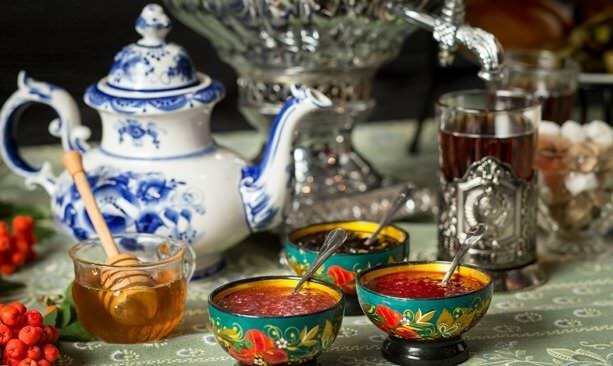 With two seatings every Saturday (advance reservations required), the Russian Tea Experience at Headwaters at the Heathman Hotel in downtown Portland is a magical way to feel transported to another land. The tea selections rotate seasonally, paired with a prix-fixe menu of sweet and savory treats from lauded Chef Vitaly Paley’s heritage. This winter, try the Georgian Caravan — a nod to the classic 18th century camel caravans of Russia that facilitated global tea trade. Pair it with the house-made jam for true bliss. 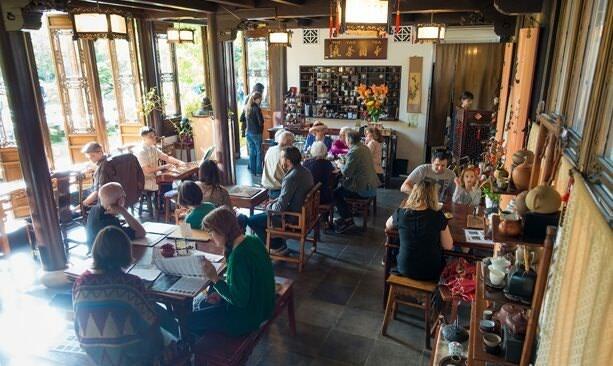 The Tao of Tea at Lan Su Chinese Garden is all about tradition, but also accessibility. Choose between an individual serving, a formal service in which you control the steeping, or a tea flight. Newcomers might try the flight, which allows for sampling of different flavor profiles. Eight flights are offered; for something different try the flight of Bing Cha — an ancient style of tea making hailing from southern Yunan, China that involves forming compressed cakes of tea leaves for ease of transport. At least 10 teas are on the menu at Behind the Museum Café, the tiny Japanese tea spot tucked behind the Portland Art Museum. Seize the chance to sip matcha (finely milled green tea) served with Japanese sweets in traditional Ryurei (tea ceremony) style. All ingredients in their matcha lattes (matcha powder, sugar and milk) are now 100-percent organic, and 100-percent delicious. Starting in April, a brand new Japanese tea room at the expanded Portland Japanese Garden will offer more traditional tea service, with a soaring view and yummy bites. With an extensive tea menu and teas from Portland-based Jasmine Pearl Tea Co., English Garden Tea Cafe in Clackamas offers experience. Order the Victorian Tea for a pot of tea and all of its lovely accompaniments: a cup of soup, scone with clotted cream and jam, seasonal fruit, finger-sized sandwiches, desserts and and savories. Lady Di’s British Store & Tea Room in downtown Lake Oswego offers a similar experience, focusing on British favorites like Yorkshire Gold, Twinings and Bewley’s tea. 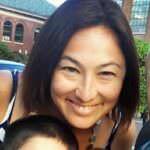 Try also Velvet Monkey Tea Bar in McMinnville and ClockWork Rose Tea Emporium in Beaverton for unique tea time adventures.